Voya Financial Investor Relations - ING U.S., Inc. Officially Becomes Voya Financial, Inc.
NEW YORK, April 7, 2014 /PRNewswire/ -- Today marked the debut of Voya Financial, Inc. (NYSE: VOYA), as the financial services company announced the change of its name from ING U.S., Inc. This change is the latest in a multi-step rebranding process that will continue throughout 2014. Voya Financial will now appear in place of ING U.S. on press announcements, investor relations materials and other corporate resources. Voya Financial's philanthropic arm, formerly the ING U.S. Foundation, has also rebranded as the Voya Foundation. "We are thrilled to have crossed this important milestone. 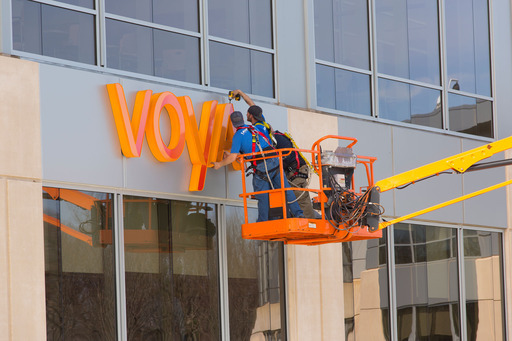 The 7,000 employees who represent our values each day are ready to embrace their new roles as ambassadors of Voya Financial," said Rodney O. Martin Jr., chairman and CEO of Voya Financial. "An incredible amount of work has been accomplished to get us to this point, and we look forward to the journey that lies ahead. Our teams are focused on this expansive rebranding effort, which supports our mission to make a secure financial future possible — one person, one family, and one institution at a time." May 1, 2014 – ING U.S. Investment Management will rebrand to Voya Investment Management. The Employee Benefits business will also begin to transition to Voya Financial, and expects to complete this transition by September. September 1, 2014 – All remaining ING U.S. businesses will begin using the Voya Financial brand and all ING U.S. legal entities that currently incorporate the ING name will change to Voya. Given the scope of this initiative, the company is staggering the rebranding process so that it can proceed in an orderly fashion. 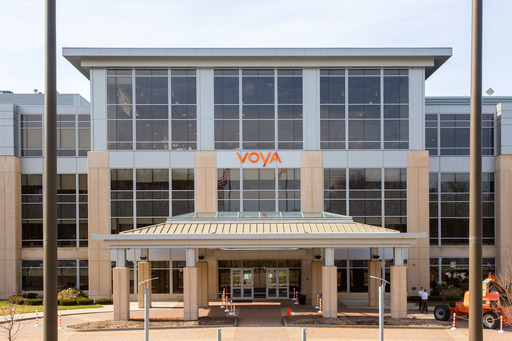 As a consequence, some stakeholder groups may encounter both the ING and Voya Financial brands in use between April and September. Even after September, additional time may be required to rebrand every product, service and client-facing resource. The Voya identity represents a new era in the transformation of ING U.S. At the same time, it closely aligns with what the company is already known for — proactively and optimistically guiding Americans on their journeys to and through retirement. The name builds upon a track record of being a leader in key retirement, investment and insurance market segments. "Voya is an abstract name coined from the word 'voyage.' We believe it reflects momentum and optimism, and a view towards the future. It also associates well with the color orange, which remains a distinctive attribute of our brand," said Ann Glover, chief marketing officer of Voya Financial. "Most importantly, the name reminds us that a secure financial future is more than simply reaching a destination; it's about a positive journey to financial empowerment, and knowing that Voya can help you take control along the way." The businesses that make up Voya Financial today were formed through a series of acquisitions by Amsterdam-based ING Groep N.V. dating back to the 1970s. Consumer advertising to promote the ING brand in the United States was later introduced in 2001. Since then, the company's marketing and advertising efforts have received national awards for creativity and effectiveness. To help bridge the transition to the new brand in 2014, the company is leveraging its "Orange Money" creative campaign. This concept underscores the importance of carefully managing one's retirement dollars while supporting Voya Financial's overall commitment to advancing retirement readiness. In March, television and digital advertising began incorporating a tag line to signal that ING U.S. is becoming Voya Financial. Additionally, client- and distributor-focused campaigns are scheduled in the coming months to promote the new brand and support key phases of the rebranding process. Until the company's new Voya Financial website is launched in September, a transitional site can be accessed at www.voya.com. This site will also direct stakeholders back to the ING U.S. website. As an industry leader and advocate for greater retirement readiness, Voya is committed to delivering on its vision to be America's Retirement CompanyTM and its mission to make a secure financial future possible — one person, one family, one institution at a time. Voya Financial, Inc. (NYSE: VOYA), which is rebranding from ING U.S., is a premier retirement, investment and insurance company serving the financial needs of approximately 13 million individual and institutional customers in the United States. The company's vision is to be America's Retirement CompanyTM and its guiding principle is centered on solving the most daunting financial challenge facing Americans today — retirement readiness. Working directly with clients and through a broad group of financial intermediaries, independent producers, affiliated advisors and dedicated sales specialists, Voya provides a comprehensive portfolio of asset accumulation, asset protection and asset distribution products and services. With a dedicated workforce of approximately 7,000 employees, Voya is grounded in a clear mission to make a secure financial future possible — one person, one family, one institution at a time. For more information, visit voya.com. Follow Voya Financial on Facebook and Twitter @VoyaFinancial.